Following expansion and renovation, the ZEISS Microscopy Customer Center Tokyo reopened in April 2018. Around 45 customers from industry and academia attended the grand ceremony. Dr. Kaoru Sato from JFE Techno-Research Corporation, one of Japan’s most well versed experts in electron microscopy, expressed his future expectations for ZEISS in a speech. After the ribbon-cutting ceremony, ZEISS offered tours of the center. Microscopy is so much more than simply making small things visible. With different microscopy techniques, you can observe living cells in motion, collect three-dimensional measurements, identify chemical elements, count tiny particles, characterize surfaces, create nano structures, and look into the smallest objects without destroying them. portfolio extending from light, electron and ion microscopes to X-ray microscopes. workshops focused on the subject of microscopy. ZEISS is presenting a networked lab for quality control and quality assurance. Connected systems, data and workflows enable more efficient collaboration – even across lab boundaries. On 24 April 2017 ZEISS opened the new ZEISS Microscopy Customer Center Europe at the Oberkochen site. 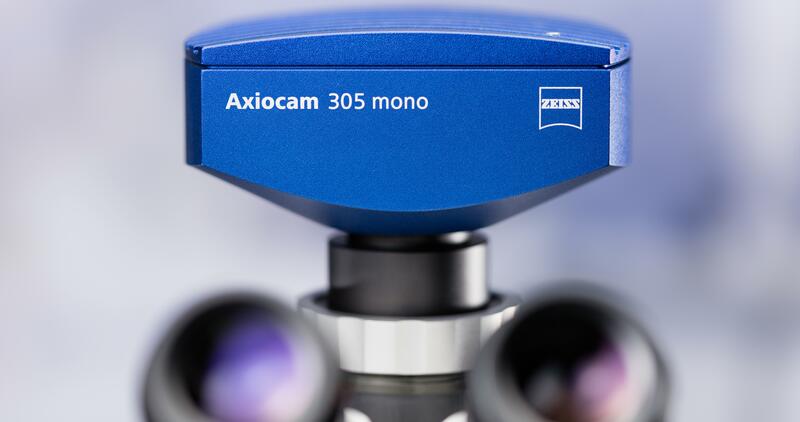 This is the most comprehensive ZEISS Customer Center including light, electron and X-ray microscopy in a single location: here users from Industry and Academia can try out correlative workflows between the different microscopy technologies and also advanced 3D microscopy. In the life sciences, experimental reproducibility and repeatability are essential for ensuring that the results obtained are real and trustworthy. This often involves running an experiment multiple times under identical conditions. When repeating experiments, variation introduced through human error, environmental changes, or technical fluctuations can negatively impact the data and cause the generation of spurious results. The Advanced Imaging of Materials (AIM) facility at Swansea University is an integrated scientific imaging centre with a strong focus on correlative microscopy. It aims to provide imaging and analytical capabilities across several length scales; from Angstroms to centimetres. The centre is designed to support industry, teaching and learning and fundamental research. One of the unique features of AIM is the ZEISS Digital Classroom. This features 30 digital Primotech microscopes which are each connected to an iPad and have the ability to stream onto the multiple screens around the lab. We spoke to Co-Directors of the AIM facility Dr Cameron Pleydell-Pearce & Dr Richard Johnston, who together manage the facility on a day-to-day basis and were instrumental in setting up the centre. Both have their own students and research groups who regularly use the ZEISS Digital Classroom. In the evening of November 13, 2016 the research vessel Akademik Fyodorov departed from St. Petersburg on a voyage under the 62nd Russian Antarctic Expedition (RAE). The vessel is carrying 97 expedition members and a ZEISS Primo Star HDcam to Antarctica. They are the new winter crews of the Russian Progress, Vostok, and Mirny polar stations, and a part of a seasonal expedition. Often in life sciences research, the data you are after will only be revealed through multiple runs of experiments or complex assays. Automation and parallelization of your imaging can be the only way to get there. Observing live samples over a number of days or imaging lots of multiwell plates really puts your microscope through its paces. To get reproducible, unbiased data, you must control environmental conditions such as light, temperature and CO2. Especially for demanding long-term timelapse fluorescence imaging, you need gentle illumination and a stable platform. This collection of White Papers aims to give you insights into the challenges and recent developments in the ever-expanding world of automated microscopy solutions. Automation can simplify your laboratory setup and make your work more efficient and comfortable.